A central part of the news cycle recently (March 2019) seems to be about two sides of “the vaccine issue”. There is more effort to make vaccines mandatory for everybody, with no choices available, to stop providing religious or even medical exemptions from vaccination. There is increasing pressure to make vaccination not just mandatory, but even forced. My hope is that more information might make people on both sides of the argument less inclined to antagonize each other, while perhaps even helping reduce the incidence of vaccine adverse reactions and disease outbreaks. The issues of personal freedom vs. government intervention for this issue are startling. Forced vaccination? Are we willing to go there, really? It is interesting to note that many of the people promoting mandatory and forced vaccination are also people that are “pro-choice”, citing a “woman’s right to choose.” The contradictions here are startling. I could rant here, but I’ll bypass the soapbox and focus on the particular concepts that need to be discussed with regards to vaccines. There are many cases of what is known as “vaccine failure,” which is defined as when the vaccination doesn’t impart immunity to the patient. In fact, you might be interested to learn that studies have shown that vaccinated individuals can still contract the diseases they are vaccinated for. One outbreak in a school with 98% vaccination rates had 48% of measles cases occurring in vaccinated individuals (https://www.ncbi.nlm.nih.gov/pubmed/3826461). There are actually many studies of vaccine failure, showing that in many individuals the vaccine simply doesn’t elicit a sufficient immune response. Why would this be? The “flipside” of the argument is also interesting; when vaccines cause injuries. While the incidence is quite low, it’s also a lot of injuries because of the number of people vaccinated. Many parents report being, essentially, bullied and shamed into vaccinating their children. While the “it’s for the overall good” argument has some merit, this is a huge ethical violation, on top of being just rude. It’s also a violation of informed consent. For more about that, check out https://physiciansforinformedconsent.org/faq/ . Now the fun part: how is it possible that a vaccine can create immunity in many individuals, fail to do so in others, and cause injury for a few in the process? To understand this, we have to look at the immune system, what influences it, and what is the “failure mode” of vaccine injuries. So here it is: almost every vaccine adverse event report I’ve read is all about an inflammatory response. Instead of the vaccine triggering immunity, the result is instead an inflammatory response. Of course, vaccine failure isn’t inflammatory, but instead not enough response at all. One could make a case that both extremes are showing the immune system not working properly! What is it that influences the immune system’s function, and has been in steady disarray and decline for some time now? Yes, the gut microbiome. Our gut is home to trillions of gut bacteria, and they help our immune system to respond appropriately to what challenges are presented. There is evidence that helping gut bacteria improves the immune response to flu vaccine, for example. Also, in early life, Bifidobacteria abundance is predictive of vaccine efficacy. So, if imbalanced gut bacteria (dysbiosis) promotes more of an inflammatory response to a vaccine rather than the desired antibody response, and we also know that autism is heavily tied to an inflammatory state, does that mean that vaccines can cause autism? Technically, no, (not directly) as studies have shown. But VAERS data shows an average of 89 deaths per year from vaccine reactions, and an average of 195 new disabilities per year from vaccine reactions. Also significant is that most of the neurologic damage seems to initiate from inflammation of the brain-often terms like “viral meningitis” or “encephalitis” are used. If you read enough VAERS reports or know enough parents of vaccine-injured children, you’ll see a pattern. Now you know the mechanism behind the inflammation. So, does that mean vaccines can cause autism? probably not, but clearly it can happen when there are other problems. To use a metaphor, I could also say that when the 8-ball goes in the corner pocket at the end of a game of billiards, it isn’t the cue ball that sends it there; it’s the bumper of the table which bounces it in that direction. Did the cue ball initiate the journey? of course! But it didn’t drive the 8-ball into the hole. Get my drift? No, I’m not saying people should get vaccinated, though I have doubts about the safety of dozens of injections in an infant. What I am saying is that it is vitally important to optimize our microbiome, and if a child’s microbiome is not doing well, perhaps we should work on it before vaccinating the child. It’s widely acknowledged that vaccines have dramatically reduced the incidence of the diseases involved, and the facts definitely prove that. The differences as far as deaths or injuries are not always so clear however. For example, in 1920 there were 469,924 cases of measles in the US; a huge number. There were also 7,575 deaths, which is just tragic. From 1958 to 1962, the US averaged 503,282 measles cases per year, but only 432 deaths. Measles vaccine was introduced in 1963, and many claim the dramatic reduction in cases and deaths is due to the vaccine. It’s clear that is only partly true, as the deaths had plummeted before the vaccine was introduced. The number of cases was clearly reduced by the vaccines-but the human immune system was improving and providing more resistance. It’s also likely that some of the reduction in mortality was due to improvements in medical care. If you now have a bit more interest in the microbiome and how to improve the health of your gut bacteria, I’ve written a book about gut bacteria. It’s called The Symbiont Factor and is available on Amazon. 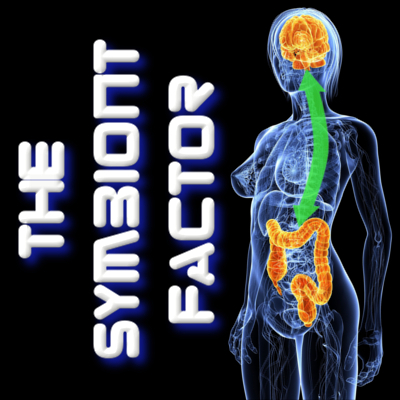 I will soon be publishing a new book, which will in some ways be a second edition/updated edition of The Symbiont Factor. There is also a course in the works, with videos and worksheets to help implement the strategies that are explained in the books. Click here to receive a free report and join my mailing list and receive updates on these exciting new developments! This entry was posted in Uncategorized and tagged injury, measles, microbiome, probiotic, vaccine, vaxxer on April 4, 2019 by Dr. Richard Matthews.